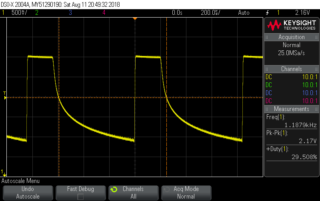 I've done some tests and I see that my pixel tape is driven with a linear change in duty cycle with DMX values. Since video data is stored with a non-linear encoding (say a gamma of 2.2) good video presentation will require a mapping of those brightness values, which I guess is related to the Response slider, but since it doesn't show gamma values, but rather a percentage, I can't be certain. 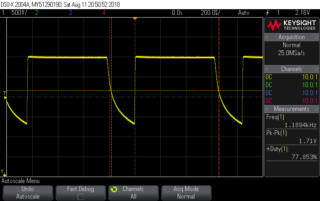 For anyone curious I tested the strip LED by connecting a light sensor to an oscilloscope and looked at the waveform. 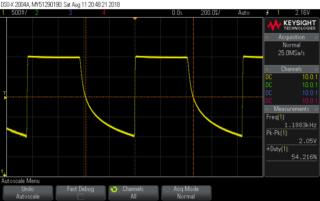 The sensor I am using has a logarithmic response and also a slower release, but the results are clear here driving at 128, 64, and 192 that the duty cycles were about 50%, 25%, and 75%. I was very much hoping that the driver chip was doing some kind of gamma mapping itself, which would put more brightness steps in the lower brightnesses.